Following payment options are available for your convenience. All methods are safe and secured by trusted service providers in India. Your online payment is secured! If payment is done successfully, don't worry. It is safe with us. We will process your request as soon as possible. 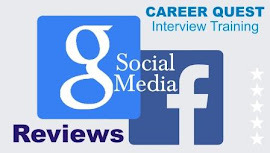 Career Quest is trusted organisation working since 2008 in Delhi. We have produced more than 1900 toppers in various govt exams. You may pay the fee by DD, Cheque, NEFT or in cash by visiting our office in Delhi. Payable at Delhi, and send it to the following address by Post or Courier. 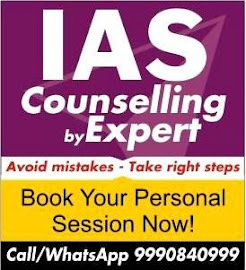 Call or WhatsApp at 09811 29 9811, 09990840999. * Fee once paid is not refundable or adjustable under any circumstances in future. Don't pay any extra amount apart from the requisite fee. * Contents may change in various kit according to subjects, exam pattern & need of the student. 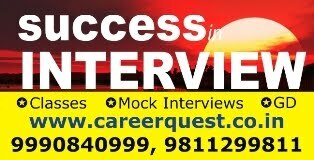 * Right of admission is reserved by Career Quest. * In some remote cities it may take more days to reach courier. * Please make confirm the availability of kit or batch before placing an order/payment. 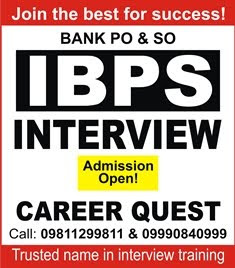 * We are not responsible for any mistake done by banks or candidate during payment. * We will replace the item in case of any manufacturing defect in it. * Order cannot be cancelled after making the payment. Refund is not allowed. * No part payment is allowed. Full payment in advance is valid. * Send us your address by sms or mail correctly without any mistake for fasted delivery. * Payment should be in favour of Career Quest only. * You need to submit your passport size photograph with admission form.